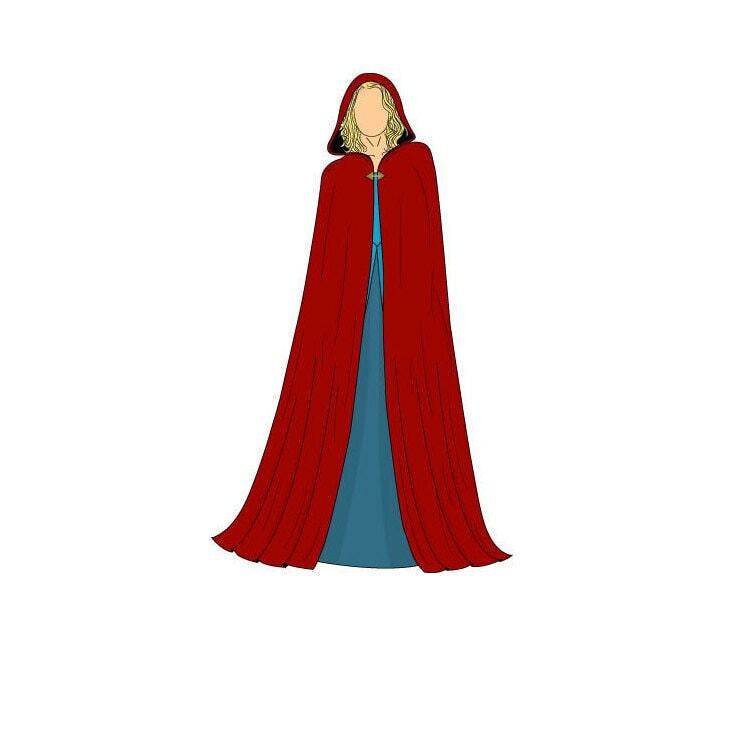 This cape/cloak pattern is a full semi-circular cape, with a slightly oversized hood for an elegant shape. The hood has had an extra 20cm added to the overall height, to achieve the bellowing at the sides, but this can be altered should you no like it. The cape is full length, and the finished length from neck to floor is 150cm, which could be lengthened or shortened to suit different needed. The cape can be make lined or unlined, please see the fabric requirements below. And should fasten at the front with a fastening of your choice. This is a large pattern and will require a lot of fabric and a fair amount of paper. Please see note included on the weight of the fabric at the hem when using heavy or stretch fabrics. This is a simple pattern to use, but you'll need to have an understanding of basic pattern markings and a general knowledge of sewing. If in any doubt, please refer to a good sewing book. 6.4m fabric (150cm wide), most woven fabrics will be suitable, satins, silks, cottons etc. Velvets, knits and stretch fabrics can also be used but please see the note included reference the stretching of the fabric due to the weight at the hem. Front closure such as a toggle, brooch or cape clasp. 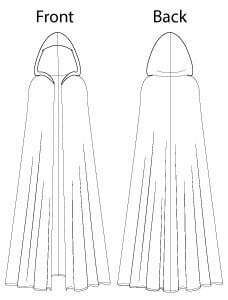 Optional: for a lined cape you’ll also need 6.4m of 150cm wide fabric. Lining fabrics such as cotton, poly cotton or polyester are recommended. The pattern included is ONE SIZE. One size should fit most people, although some small alteration may be needed in the length, the finished length from neck to floor is 150cm. This is a FULL SIZE pattern, so there is no need to worry about enlarging or scaling up the pattern.